Vallromanes Golf Club is an 18-hole golf course, par 72 golf course of 6,044 metres. It is the nearest golf club to Barcelona City open for visitors just about 18 - 20 minutes away from Barcelona city centre, located in a spectacular and peaceful natural setting. The course was designed by the prestigious course architect Mr. F.W. Hawtree. It opened to the public in 1972. Its emblematic Club House is an eighteenth century stately mansion, with its original facades and structure, giving it a special charm and a unique identity for the Vallromanes Golf Club. 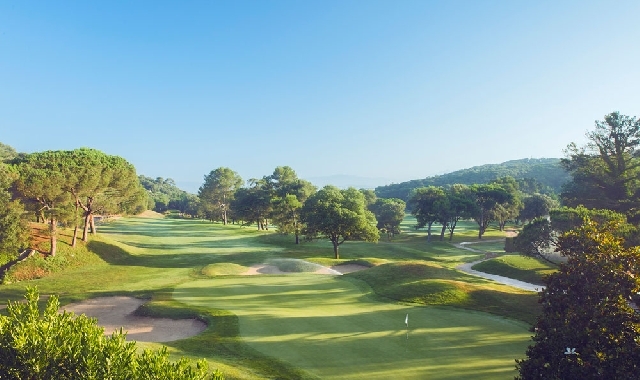 The wide range of movement of its greens and a demanding course through its Mediterranean forest make Vallromanes a highly attractive challenge for any player. The Restaurant Torre Tavernera, with its characteristic Mediterranean style cuisine, will delight the players following their rounds, with a daily set menu, Chef’s specials, and a wide selection of wine and cava. Vallromanes Golf Club also offers a putting green, chipping area, driving range and all necessary facilities for a perfect day of golf. Banguide saknades, ingenstans att handla ngt att dricka eller äta på banan.Kunde vara bättre markerat hur man gick till olika teer.Mottagandet i receptionen var bedrövligt och de var inte uppdaterade vad gällde golfhäftet.Försökte ringa och boka tid under 2 dgr men ingen svarade.